Back before even the Bronze Age, it’s believed that men fashioned razors out of sharpened clam shells, pieces of flint or shark’s teeth. In Egypt, archaeologists have unearthed strips of bronze and even solid gold. That were believed to have been honed to a sharp edge and used as razors. Then, along came the Gillette Atra razor. Needless to say, none of these provided a close shave or a comfortable shaving experience. Unknown to ancient man, the beard hair is stiffer than any other hair on the human body. And is about 1,000 times tougher than skin. It wasn’t until the 18th century that metallurgy, through a special crucible process. 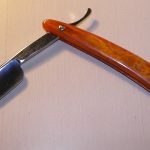 Could produce a hardened steel grade and the straight razor could be developed. 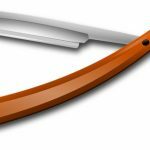 The first straight razors were developed in Sheffield, England. And even today Sheffield steel is considered superior and is a top choice for cutlery and knives. Still, shaving wasn’t a daily practice for most men in the 18th and 19th centuries. As only the wealthy could afford barbershop services or servants to shave them. It wasn’t until World War One that daily shaving became common with American men, and for a good reason. The gas masks of the time could only fit snugly over a clean-shaven face. 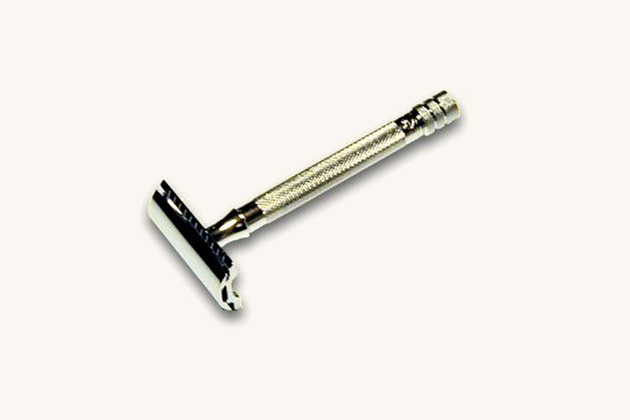 And the new safety razor was standard issue in soldiers’ kits. 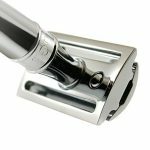 The safety razor, developed by Gillette, had a thin and flexible strip of metal that only exposed the edge. Not unlike a carpenter’s joiner plane. 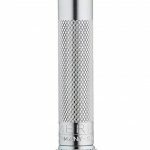 Before long, the stainless safety razor and double-edged safety razor were introduced, making shaving safer and more convenient for everyone. And the straight razor and strop were seldom seen outside the barber shop. In the 1960s, the cartridge razor was developed. With the blade encased in a unit that could easily and quickly be ejected and then replaced. The cartridge razor then gave way to the plastic disposable razor. Which went from one blade to two blades, and even four or five blades in later years. Gillette’s lead was soon challenged by Wilkinson, Schick, Bic and many other companies. The Atra came along in the 80s, as a replacement for the Trac II (an acronym for Twin Blade Razor And Cartridge). Which had been around since the early 70s. 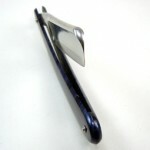 The Atra (acronym for Australian Test Razor) was the first twin blade razor to feature a pivoting head. Which was designed by Gillette to make it easier to follow the contours of the face. And to make shaving the neck easier. 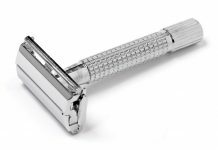 A few years later, along came the Atra II with a lubricated strip to smooth the skin and ease the chore of shaving a little bit more. 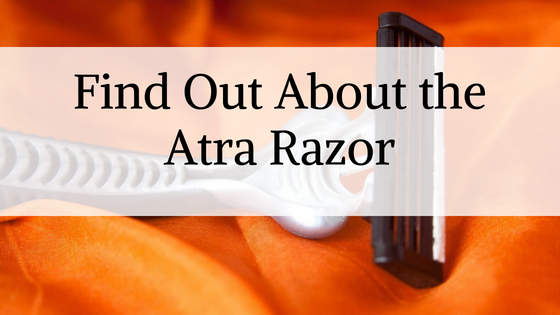 The Atra razor was test-marketed with college students. As thousands of these razors and cartridges were included in welcome kits for incoming freshmen. In later years, the Atra was discontinued. And replaced by the Sensor razor from Gillette. But its replacement cartridges are still available in packs of up to 20. It’s a simple matter to press a release on the handle and discard the old cartridge. Then press the handle’s spring-loaded prongs into the back of the new cartridge for a reload. The Atra might be gone. 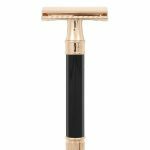 But its pivoting head and ergonomic handle set the bar higher for razor design. And has since been adopted by Schick, Personna, Wilkinson, Dollar Shave Club and others. 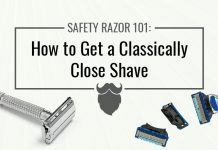 Along with multiple-blade setups for a closer and smoother shave. 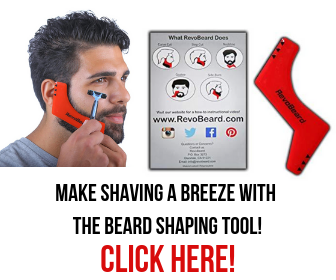 Men no longer shave with sharpened clam shells or bronze strips. 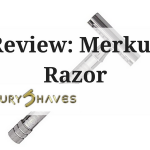 And you seldom see a safety razor or even a single-blade disposable razor anymore. Still, men tend to stick with what they know. And have a hard time letting go of things they’re used to. That’s why the McRib is reintroduced every several years, after all. 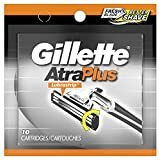 The Atra razor from Gillette might be long gone. But it’s still a favorite with many men who got used to its smooth shaving properties years ago. Besides, some men find it hard to rinse stubble and shaving cream from a razor with more than two blades. The logical conclusion of the Atra shaving system is the Gillette Fusion 5. 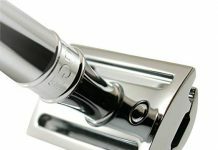 Which features the pivoting head along with a five-blade cartridge. And lubricant strips that are located both before and after the blades for an extra-smooth shave. It also features the company’s ProShield blades and FlexBall technology. But in the end, it couldn’t have been possible without its precursor. The Gillette Atra razor and Atra II razors. Shaving technology has come a long way just in the last 30 years. And innovations like the Atra had a lot to do with it. 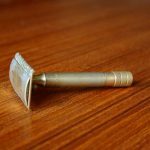 Next articleSafety Razor vs Cartridge Razor: What Works Best?